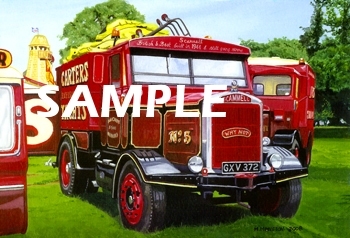 Pack of 8 fairground transport art greetings cards with four different designs in each pack (two of each design). 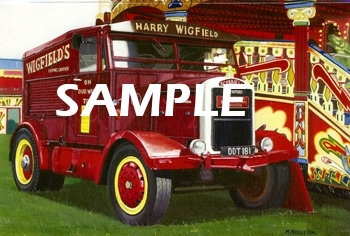 The cards feature a range of vehicle types, covering what are now the classic British made lorries of the past, and also some of today's modern transport - catering for all enthusiasts. 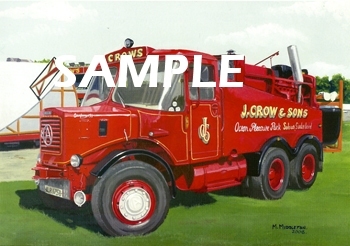 These are strictly limited editions of only 1,000 cards worldwide. The cards are 210mm x 148mm and blank inside so the purchaser can add their own greetings/message. 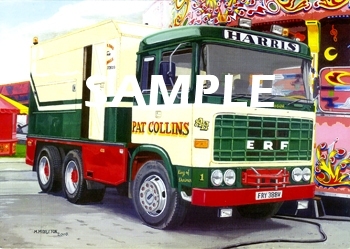 Anthony Harris/Pat Collins ERF 'B' series six wheeled generating tractor 'Elias Joseph' generating for their waltzer.